National Capital Title & Escrow Courteous and Professional Staff. The National Capital Title & Escrow, llc (NCTE), staff provides courteous, professional, and efficient closing and title services to the community. We provide the highest-quality real estate/cooperative closing and title services to minimize the mystique of the industry, while fully protecting the interests of buyers, sellers, lenders, and borrowers. With offices in Maryland and Washington, DC, use of technology and electronic media, and professional commitment and flexibility, NCTE is able to deliver its services in the most timely and convenient manner. Our smart and dedicated staff members are crucial to our ability to guarantee exceptional service and client satisfaction. NCTE was organized in 2001 by Michael Sacks to fully utilize his background and experience in the real estate and business communities. 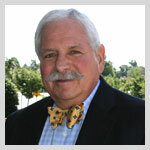 Michael, an attorney admitted to practice in the District of Columbia, Maryland, and Pennsylvania, has more than 30 years of experience dealing with a wide range of real estate and title matters (including single-family properties, condominiums, and cooperative units) and commercial transactions as a practicing attorney and former co-owner of a real estate escrow company. Michael’s original assignments as an attorney in the national office of the Internal Revenue Service involved real estate: REITs, cooperatives, home owner associations, and real estate limited partnerships. While in private practice, Michael has been involved in organizations and operations for real estate developers, cooperative housing corporations, institutional lenders, and commercial borrowers. This experience has involved a wide range of real estate and commercial issues from tax assessment to securitization, business structuring, and regulatory compliance matters. Michael has also lectured on the taxation of real estate as an adjunct professor in the graduate tax program at the Georgetown University Law School. Craig Sacks has been chief operating officer and president of NCTE since 2002 when he joined Michael at the newly founded company. Along with Michael’s guidance and real estate expertise, he has expanded the footprint from DC to Maryland and Virginia. 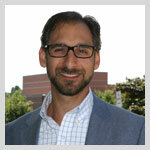 Craig oversees all day-to-day business operations, business development, and client relations. He brings more than 16 years of management experience to the company and is a licensed title agent in Maryland, Virginia, and Washington, DC. While not overseeing settlements, Craig stays in constant motion and conducts the office like an air traffic controller. He is also responsible for keeping the office plants alive and well. In his spare time, Craig wishes he was riding his 1973 Triumph motorcycle to the beach for a day of fishing, but he’s just as happy to be teaching his 5-year-old son to swim, reading a book about princesses to his 2-year-old daughter and playing ice hockey. Teresa Berbes has been with NCTE for 8 years. She is a licensed settlement officer in Maryland and the District of Columbia. In addition to preparing title commitments and settlement statements, Teresa conducts closings and works on all phases of preclosing and postclosing for purchases and refinances in Maryland, Virginia, and the District of Columbia. Teresa also works on cooperative purchases and refinances and is responsible for the financial and accounting functions in the office, including disbursing funds on all transactions. When she's not at the office, Teresa tries to keep up with her 2 children and 3 stepchildren, ages 17-22. She is the youngest of 10 children, so she is used to a hectic environment! 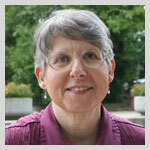 Sandy Kanner has been with NCTE since 2005. 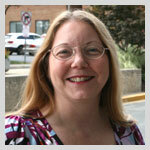 She is a licensed settlement officer in Maryland and the District of Columbia. Sandy has participated in every aspect of the title process, from opening files to postclosing and preparing title policies. At this time, she is most involved with preparing title commitments, getting files ready for settlement, and conducting closings. She also oversees the title policy preparation. Another duty that Sandy has assumed is making sure that the office dishwasher is loaded and started on Friday afternoons. 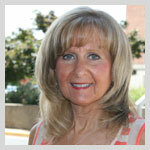 In her spare time, she is a gym rat, loves being with family and friends, and is quite dedicated spoiling her grandson. Edie Bosica has been with NCTE for 2 years and spent the previous 18 years serving in various positions, including loan closer and processor, at a local mortgage company. She currently serves an administrative assistant, preparing new files, ordering title and surveys, preparing postclosing files, ordering payoffs, and preparing title policies for review. Edie is an avid swimmer and loves to travel.